st. patrick's day | The History and Traditions of St. Patty's Day. St. Patrick’s Day is a public holiday in Canada. The day is celebrated every year on 17th March or a Monday closest to 17th March. This festival is celebrated to honor St. Patrick, an Irish Saint who helped convert the people of Ireland to Christianity. The first recorded celebrations of St. Patrick’s Day were in 1759 by a group of Irish soldiers who fought on the side of the British army. St. Patrick is believed to have been born in a rich family. However, in his teenage years, he was captured and sent as a slave to Ireland. During his years in captivation, he is believed to have become religiously inclined and started believing profusely in God. After certain years in captivation, he managed to flee from his captivators and rejoin his family. In the latter part of his life, he is believed to have come back to Ireland as a missionary. In the 5th century, he helped convert the people of Ireland to Christianity and also helped “drive off snakes” from Ireland. “Snakes” is believed to be a reference to evil forces present in the country. St. Patrick’s Day, also known as the Feast Day, is celebrated to commemorate the death anniversary of St. Patrick. Although the color blue was largely associated with this day in the early days of its celebration, color green has come to be associated with St. Patrick’s Day over the last many centuries. Green themed parties are organized in Canada and Ireland where the food, the drinks as well as the decorations and clothing are green in color. 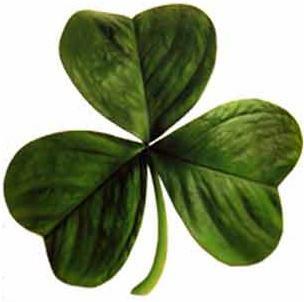 Shamrock, the traditional symbol of Ireland, is largely associated with this festival. Although St. Patrick’s Day is not a public holiday in large parts of the world, still, it is one of the most widely celebrated saint days the world over.